So im going to Release my galleon today, but im Not sure how to Level it properly. Its a normal broadside galleon. Is it worth leveling into sinking rate at all? And how good is the new Résistance And dmg Stat? Also should i Level a but into wheight? Ships of the Damned need a distance nerf. 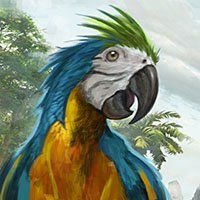 Sell tames or use the player Shops to earn Gold. Or kill whales.